Treat yourself to the ultimate custom ice cream experience with Nitro Magic! Our ice cream is crafted from the freshest ingredients available and frozen instantly with liquid nitrogen. You will love the taste of our decadent, smooth & flavorful ice cream and it will be one of the most memorable and delicious experiences that your whole family will enjoy. Nitro Magic Ice Cream is fast becoming the most sought after experience for events of all sizes including weddings, birthdays, graduations, corporate events & more! 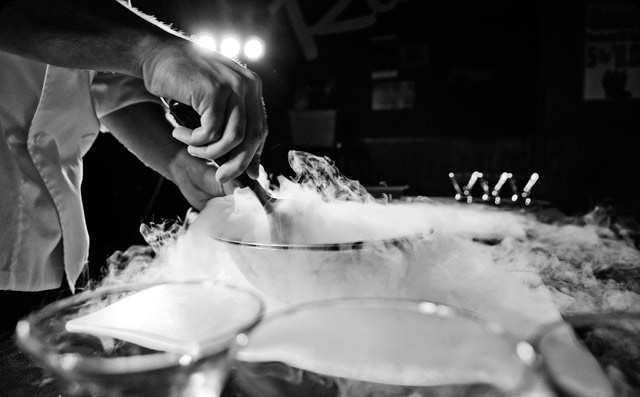 We use liquid nitrogen to flash freeze literally thousands of combinations of flavors for you and your guests. The process, which produces beautiful - cold clouds of nitrogen fog, utilizes cutting-edge culinary technology. Nitro Magic Ice Cream provides a safe, entertaining and exciting experience that is a perfect compliment to every event. Be sure to contact us today to reserve your date. Sky's the limit! If you can dream it up, we can make it! 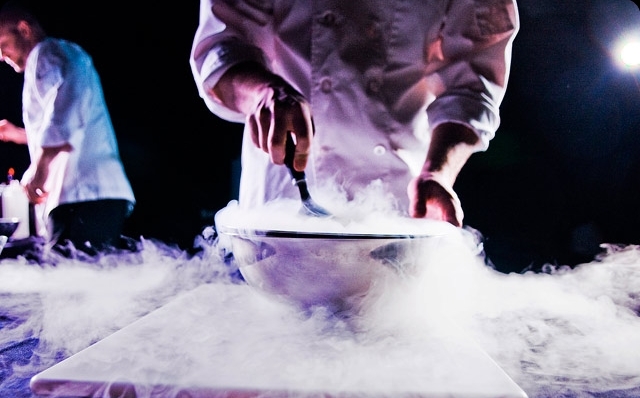 Let Nitro Magic's professional ice cream chefs wow your guests at any event! Want something unique at your event that your guest will always remember; Nitro Magic Ice Cream is your answer. Why is Nitro Magic’s Ice Cream so creamy? When we decided to make ice cream using liquid nitrogen we discovered that very few ice crystals form during the freezing process. The result is an ultra smooth and creamy ice cream. Less ice crystals meant creamier, better tasting ice cream. Is it safe to eat ice cream made with liquid nitrogen? Absolutely! Did you know that Nitrogen makes up approximately 78% of the air you breathe? When we make our delicious ice cream the liquid nitrogen instantly boils and returns to its natural gaseous state leaving behind the best tasting ice cream ever made. Can I customize my ice cream? We challenge you to come up with a flavor of ice cream that we can not make! You can pick from any combination of flavors and mix-ins. If we do not have the flavor you are looking for we will do everything we can to get it for you in time for your special event. The sky is the limit on what you want to create. The first time I tried ice cream made with liquid nitrogen, I couldn't believe my eyes, or my taste buds! So when the founder and creator of Nitro Magic Ice Cream offered me a chance to be a part of this culinary magic, I embraced the opportunity. I love the idea of combining entertainment and science with fresh ice cream. The wonder that follows this delicious experience is what made me want to become more involved in this innovative scoop. I never grow tired of hearing, "How does it work?" and "What makes it taste sooo good?!" I truly enjoy entertaining and educating people about Nitro Magic while dazzling their senses and turning their celebrations into savory memories. My love of ice cream, flare for socializing, and commitment to family makes the perfect recipe for this new adventure, an ice cream extravaganza like no other! We first discovered nitrogen ice cream while living in central Florida. And the moment we saw and tasted it, we knew we wanted to bring this wonderful flavor to the masses. Upon returning to our home in Colorado, we discovered Nitro Magic Ice Cream and its founder, Bruce. It was immediately a Hand-in-Glove relationship. 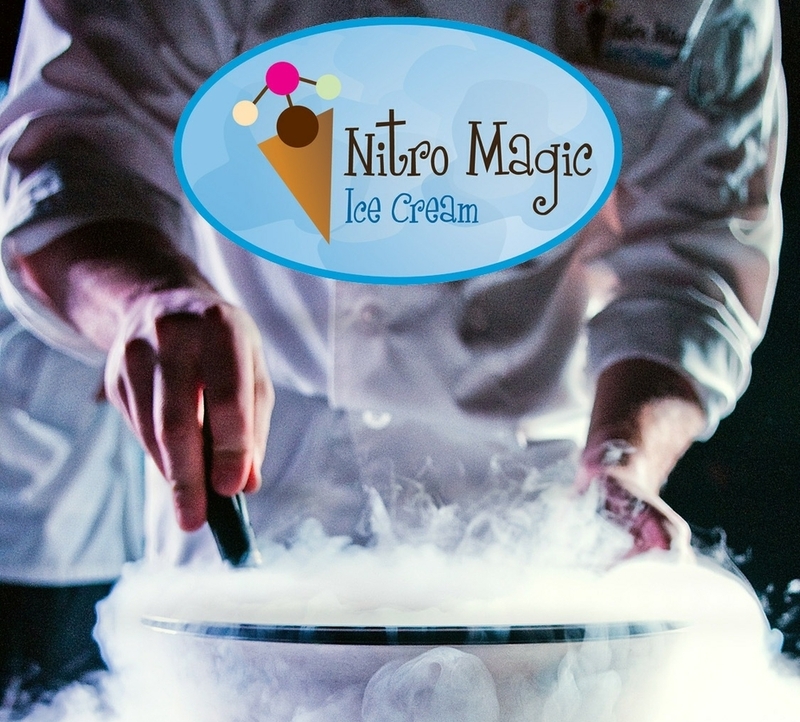 There’s nothing cooler than nitrogen ice cream, and now, as the proud and joyful owners of Nitro Magic in Sarasota Florida, we feel blessed every day to be able to share the one-of-a-kind Nitro Magic experience.